Aromatic spices, golden sand dunes, palm-dotted oases, and open doors of generosity describe the exotic country of Morocco. Your life will be forever transformed after encountering this enchanting country and its people. All our private tours are led by experienced local hosts, uniquely equipped to bring about deep levels of meaning and fulfillment for our guests; and at the same time regenerate local communities. Our Suggested Tours can be booked “as is” or they can serve as starting points for trip planning. 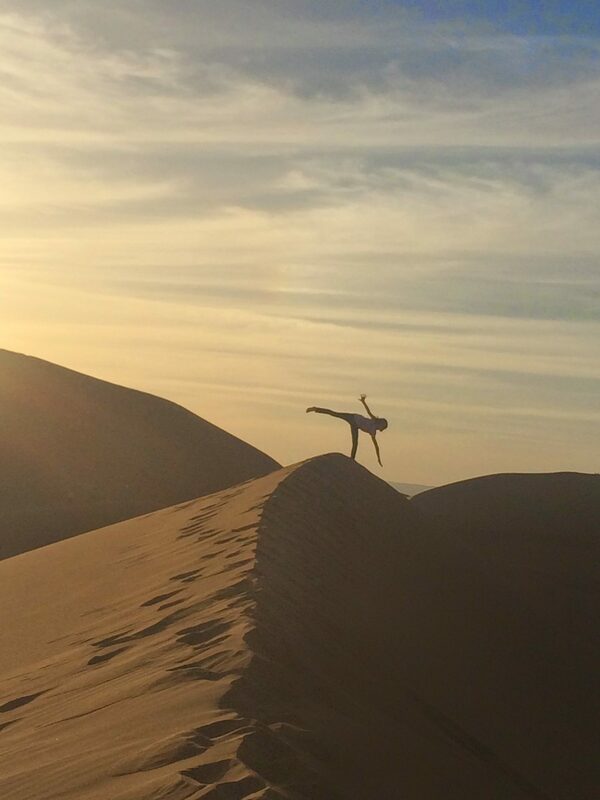 Let our experts assist you in planning your own customized Morocco adventure. Enrich the experiences with added time. 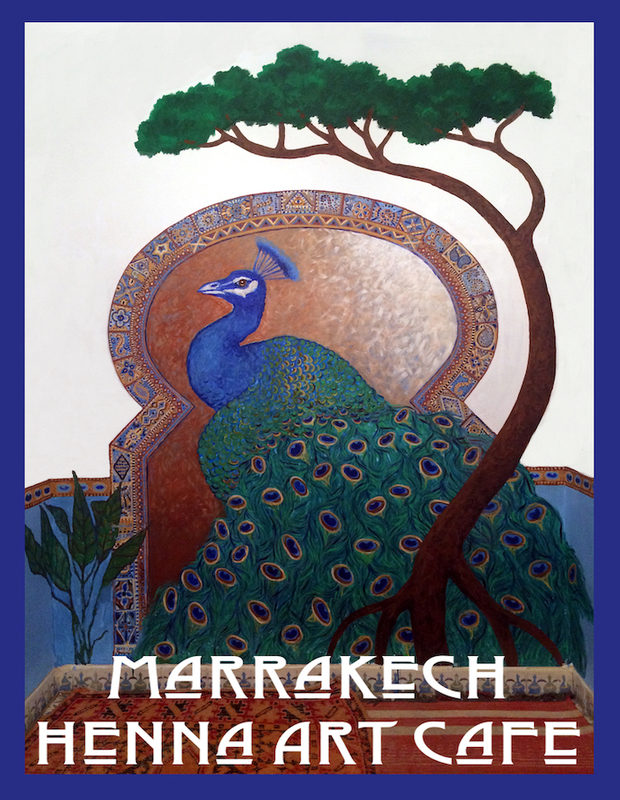 Explore the different regions of Morocco, or spend extended time at chosen locales. Visit our ever expanding collection of tour photos. Our day with Mustapha Quassi was beyond imagination… what a beautiful experience with him in his beautiful home where he shared his rich culture with us! We enjoyed making tagine together, touring his home with the pottery, weavings, rugs, tapestry and musical instruments which he played for us. My mind goes back to this day often with a gentle gratefulness to Mustapha for all he shared! I am much richer in spirit for this once in a lifetime experience! Thank you so much! It was the best choice we could have made. It was an incredible and unforgettable experience. 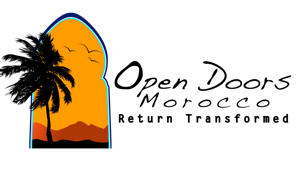 Said is very professional and exceedingly knowledge about Morocco – its history, geography, politics, people – and eager to share this knowledge if you show an interest. It was a pleasure spending time with him and learning about his wonderful country. I would highly recommend Open Doors Morocco to everyone wishing a true Moroccan experience. From the 4×4 (which had wifi!) to the desert camp accommodations, everything was perfect. I feel like we saw the “real Morocco” not just the touristy sites but some hidden gems also. From the time Habib met us at the airport, I felt like we were in good hands. I will never forget listening to them sing and play under the full moon in the Sahara. It was a magical night. Thank you to Nancy, Habib, Ali & Mostapha for helping to make my first visit to Morocco such a special experience. I will be back and will certainly book another tour with them again. 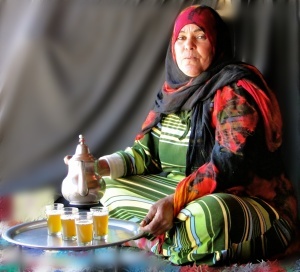 I have been on guided tours in Morocco before, so I know that Said is not your usual guide. You may think that 8 days with a stranger in a Toyota Land Cruiser is a bit much – but it isn’t. At all. Said has an ability to read situations, and a cross cultural social intelligence that is quite amazing, and we really enjoyed his company and everything we learned from him. After a few days Said knew what we liked to eat, what kind of coffee we drank the kind of black dried olives that we liked so much, and we often left the ordering to him because we always ate well at the little local places he found. All children our boys’ ages should be let loose in a giant sandbox once in awhile. Being all alone in a camp like that, under the stars, is fantastic. 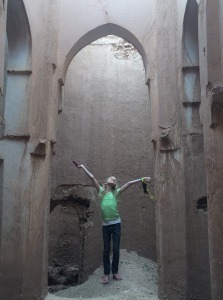 One last word – some might worry about travels with children in Morocco. There is absolutely no need for that with Said along. This is how safe it is: When we were in Merzouga we were having a coffee and a talk by the pool, when Said had to go off on an errand in town. Our youngest is 6 and asked if he could come – he doesn’t speak a word of english or any other language that he can communicate with Said in. So there is this bearded man with a turban and traditional dress – but he is so kind and has such a nice personality that a little boy instinctively likes him and wants to come along with him. Communication is more than language. So off they went, those two. We never ever had to worry about anything – at all – during that trip. Can’t recommend ODM enough. I have traveled extensively around the world and I can not say enough about the fabulous tour that we, (I am one of four California women,) took with Open Doors Morocco. Their website promises a transformative experience and I can attest to the truth of this claim. 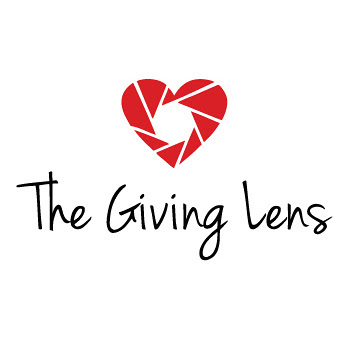 The care that this company takes in preparing customized itineraries that accommodate all manner of needs/desires (my partner is an above-knee amputee) is impressive, and resulted in great experiences for us. We can’t say enough good things about Said, who showed us so many things we would have missed on our own, and who was generous with his knowledge of culture, customs, and current affairs. Having fallen in love with this magical country, we are already thinking about returning. We’ll definitely use ODM to take us on further adventures and we’ll be recommending their services to all our friends. Open Doors Morocco worked out perfectly for my family. We are well-traveled and love to travel on our own, but with an itinerary that involved a lot of driving and having two kids aged 11 and 9, we wanted relief from the strain of figuring out too many details. I provided Nancy with all of our details and the itinerary I was interested in and she guided me along with what was feasible and what should be edited out due to distance, time constraints, and the level of interest for my young ones. She lived in Morocco and has children, so this combination of Moroccan knowledge and the understanding of the needs of family worked well for us. She also understands the North American perspective and what would be comfortable for us in terms of accommodation. After contacting Nancy at Open Doors Morocco, we were quickly partnered with our wonderful, genuine guide and now friend, Habib. Not only did we see some magical places, Habib ensured we were comfortable and truly listened to what we wanted to see and experience. The guides that he suggested for the ksar and kasbah were very passionate about their work and it showed. They added a cultural aspect that you miss if you wander these beautiful ancient buildings alone. The accommodations were perfect for us. A sincere thank you to our modest friend Habib for the interesting conversations we had. It made our trip to Morocco even more special since we have a better understanding of your culture! LOVED LOVED LOVED their concept of engaging with the real Moroccan culture. We had an amazing day visiting families in a Berber village to riding camels into the desert for an unforgettable overnight. Our kids gained a great appreciation for the different lifestyle and the country. LOVED LOVED LOVED our guide Said. He was open, honest, very knowledgeable, and truly caring. We came to trust him completely. He took great care of us and we learned a lot about the real Moroccan life and history. We recommend them wholeheartedly and the price was very fair. 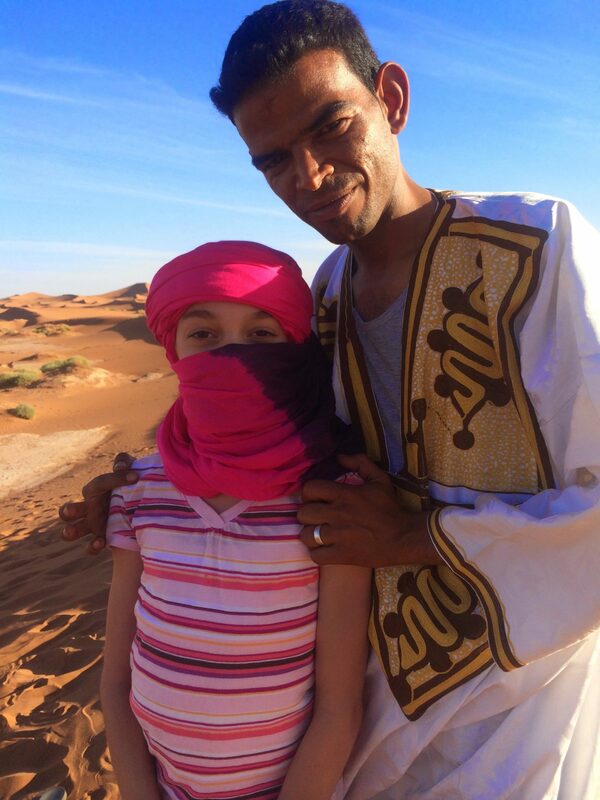 My father, my teenage daughter and I had an amazing experience in Morocco with Habib. I can’t imagine how we could have navigated Morocco without him! Habib was extremely professional yet genuinely engaging during our time with him. Habib was flexible with our itinerary and patient as we figured things out. My 13 year old daughter was treated with such care. Habib engaged her in conversation, opened doors for her and pointed things out along the way to ensure she took everything in. We felt an instant comfort with Habib partially because Nancy ensured us that we would be in good hands but also because he has such a peaceful presence. It was so nice to have an authentic experience that was not commercial, never rushed and completely personalized. I feel fortunate to have experienced Morocco and blessed to have been placed in such good hands. My wife and I spent a couple of weeks in Morocco. Neither of us are Arabic speakers but we wanted to get out beyond just the tourist areas, so we engaged ODM. The guide, Said, was wonderful and really enriched our experience. His knowledge of local history and culture brought a richness that we would have missed riding by on a tour bus, such as making an impromptu stop to watch a ‘fantasia’ practice (lines of stallions progressing to an end line then firing cap guns into the air), or meeting with a cave-dwelling nomad family to see how they lived. The ability to customize a trip and the flexibility to make on-the-fly changes or stops would have been an excellent value at twice the price. Finally, consistent with ODM’s mission, we experienced some of the outcomes of their efforts to improve local communities, including the desert bivouac in the dunes. If you’re going to Morocco I can think of no better choice to enhance your visit than engaging Open Doors Morocco!